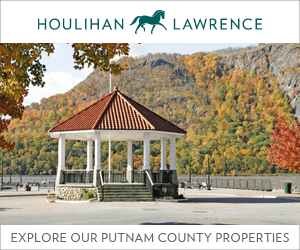 The Hudson River, “America’s first river,” is a natural and historic wonder that is near impossible not to appreciate, one that residents of Philipstown and Beacon get to enjoy every day. 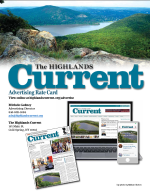 And yet, while locals experience the Hudson year-round, those hometown views are available through just one lens — that of the present day. The Hudson River Maritime Museum (HRMM), located on Kingston’s waterfront just 49 miles from Cold Spring, provides a collection of alternate, fascinating lenses through which the Hudson River of the past can be seen. By itself, the museum is well worth considering as a day trip; other attractions and opportunities nearby make it a good choice for a full-day vacation. 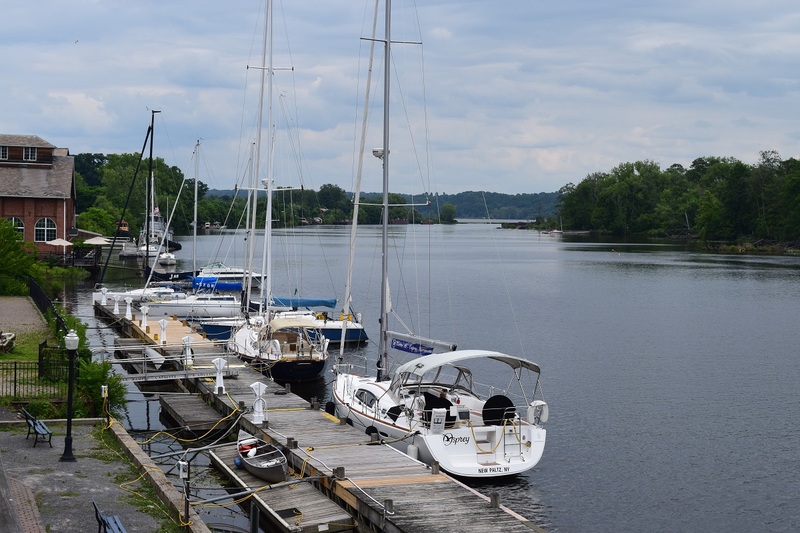 HRMM is located on the banks of Rondout Creek, upstream and within sight of the Hudson River. The tugboat Mathilda is on permanent display on the grounds, setting the tone for numerous exhibits inside. The museum tells the river’s story, as far back as 13,000 years, when Native Americans are believed to have first established homes along its banks. The current main exhibit illustrates a much more recent saga, the story of the Hudson’s 13 lighthouses, from the “Little Red Lighthouse,” found beneath the George Washington Bridge in New York City to the Stuyvesant Lighthouse about 17 miles south of Albany. 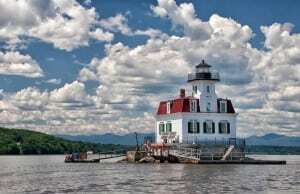 Two lighthouses close to HRMM, unquestionably two of the most attractive structures in the area, the Esopus Meadows and Rondout lighthouses, are also highlighted. 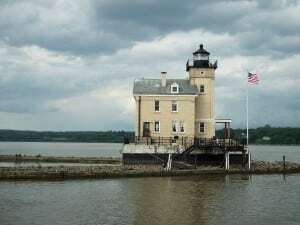 The exhibit includes a scale model of the 1867 Rondout lighthouse, built by Ron Searl, who for more than 20 years created exhibits at the American Museum of Natural History. Catherine Murdock, the keeper of the Roundout light during parts of two centuries, also contributes to the display. “My husband was appointed keeper of the light during the administration of President Franklin Pierce,” she wrote in a local newspaper. “But he drowned after only serving one year.” She chronicled her service as lighthouse keeper from 1857 to 1907 in a scrapbook. “It is very pleasant at the light in summer when we have many visitors, sometimes between 20 and 30 in a day,” she wrote. “In winter, however, it is cold and dreary, and we often endure heavy and perilous storms.” Murdock is listed on the U.S. Coast Guard website along with 178 other women who served as lighthouse keepers in the U.S. from as early as 1776 and as late as the 1950s. According to the USCG, lighthouse keeper was one of the first nonclerical jobs open to women with the U.S. government. The museum is a catalyst for the imagination, employing excellent period photography, videos, artifacts and models to paint a vivid picture of a waterway that has had many past lives. 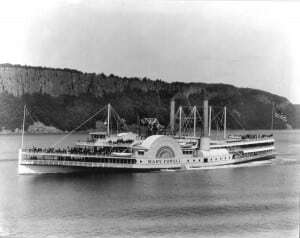 The varied themes include natural history, industry and shipbuilding, the “golden age of steamboating,” racing and regattas, ferries and fishing, among others. a 1909 motorboat race that went all the way from New York City to Albany and back; and the harvesting of ice as a significant, river-based industry. The people of the country came aboard of us, seeming very glad of our coming, and brought green tobacco, and gave us of it for knives and beads. They go in deer skins loose, well dressed. They have yellow copper. They desire clothes, and are very civil. They have great store of maize or Indian wheat, whereof they made good bread. The country is full of great and tall oaks. The museum offers a number of special events during the year. 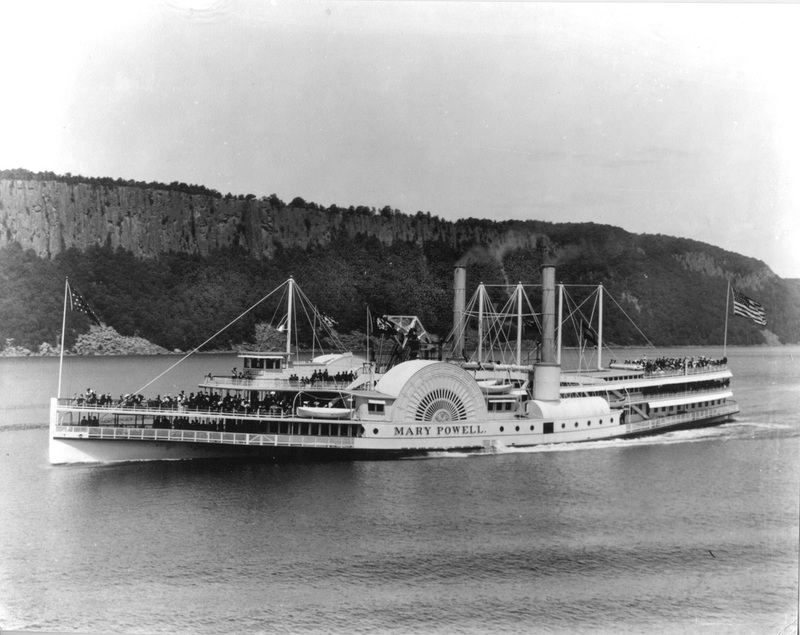 One of the most popular provides a rare look at the Hudson’s past. The 31st Annual Antique and Classic Boat Show will be held on the weekend of Aug. 15–16 and will include a parade of beautifully crafted wooden boats. 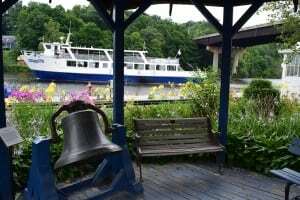 Visitors can add a feeling of authenticity to their HRMM experience by taking a cruise on the 300-passenger Rip Van Winkle. Cruises depart the dock adjacent the museum each day at 11:30 a.m. and 2:30 p.m. through Aug. 23. 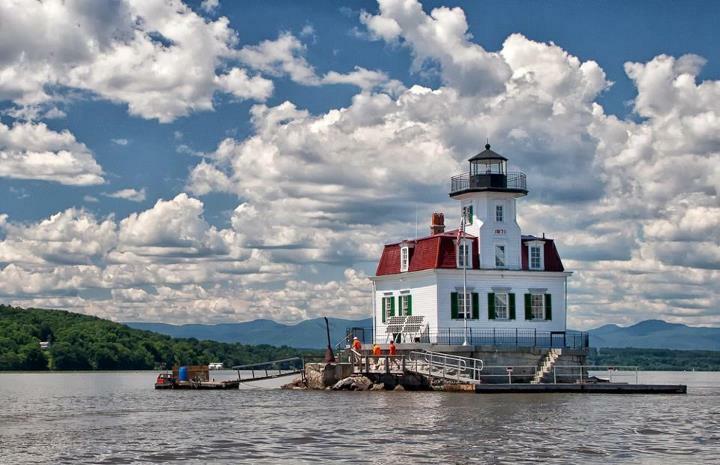 The two-hour excursion offers views of the Esopus Meadows and Rondout lighthouses as well as numerous historic estates along the banks of the Hudson River. A snack bar and beverages are available onboard. A number of restaurants are located close by in the waterfront district, including Dermot Mahoney’s Irish Pub, Savona’s Trattoria and the Ship to Shore American Bistro. 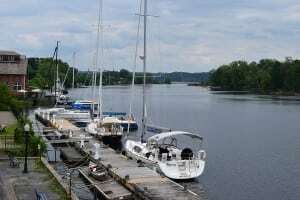 Mariner’s Harbor is the closest to the HRMM and has an outdoor patio and bar with views of Rondout Creek and the marina. Kingston’s historic Stockade District, listed on the National Register of Historic Places, is just a few minutes from the HRMM. The New York State Senate held its first session there in 1777 in what was then the home of Abraham Van Gaasbeek. The Senate House, as it is now known, is open for tours Wednesday through Sunday. The district features a number of other historic buildings including the Sleight House, the Old Dutch Church, Kirkland Hotel and Loughran House. 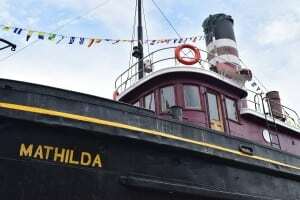 The tugboat Mathilda is on permanent display at HRMM. It also offers a chance to dine in a truly historic setting, at the Hoffman House Restaurant and Tavern, circa 1679. The first recorded owner of the building, still largely intact, was Edward Whittaker, “an English soldier in the employ of the Duke of York.” The Hoffman family owned the house for more than 200 years. 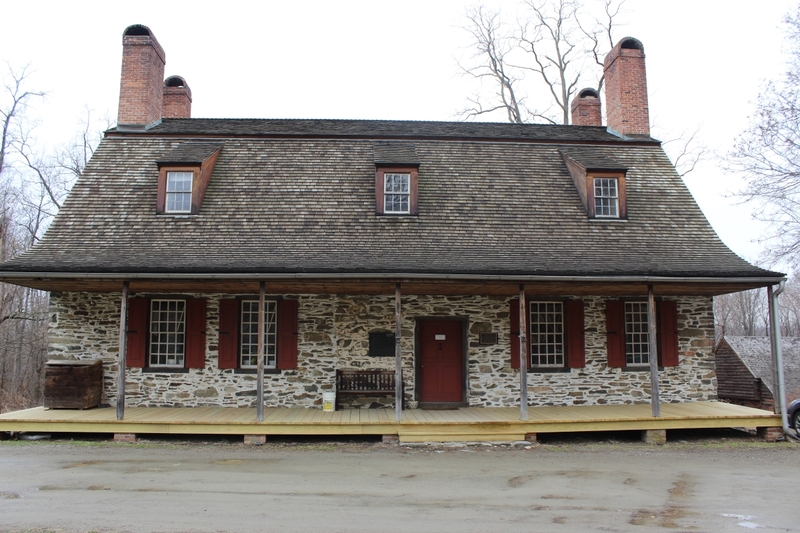 In 1777, it was damaged when the British Army plundered and burned Kingston, but the Hoffmans restored it soon after. Open Tuesday through Saturday, it now offers a lunch, dinner and tavern menu. 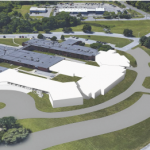 Visitors who travel up to Kingston via the NY State Thruway might want to take a slower and more scenic route on the return trip. Route 9W offers a slower pace, good river views as well as a number of wineries, farm stands and restaurants. 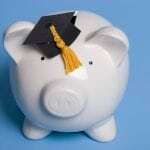 The HRMM is a 501(c)(3) nonprofit organization at 50 Rondout Landing Kingston, NY 12401. Located in the former Miron Lumber Co. building, it serves as the winter home of the sloop Clearwater. The website, hrmm.org, provides detailed visitor information. The museum is open seven days a week from 11 a.m. to 5 p.m. from May to November. Admission is $7 for adults and $5 for seniors (ages 62+) and children and teens ages 17 and younger. 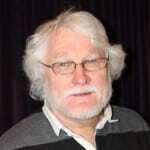 One Response to "Day Trip: Kingston’s Maritime Museum"
I really enjoyed reading this article. I visited the HRMM several years ago when it was smaller, had fewer exhibits and it was still fascinating at that time. Your article reminded me of the variety of cool exhibits at the museum that relate to the importance of the Hudson Valley and I’m putting it on my “places I must visit” list. Thank you.